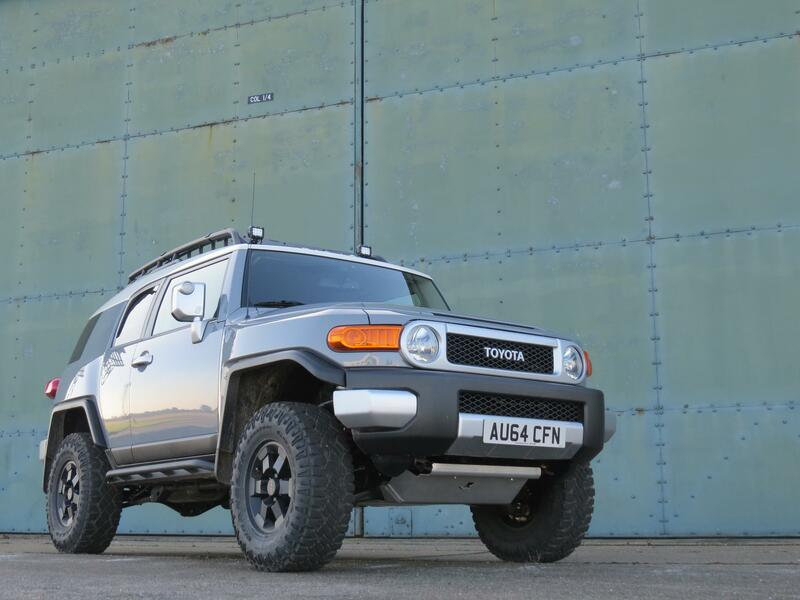 Finally, after 8 months, I finally have my FJ here in the UK. I made use of the space inside it to ship a few 'goodies' too as that meant I paid no additional shipping other than from the suppliers to the dealer. 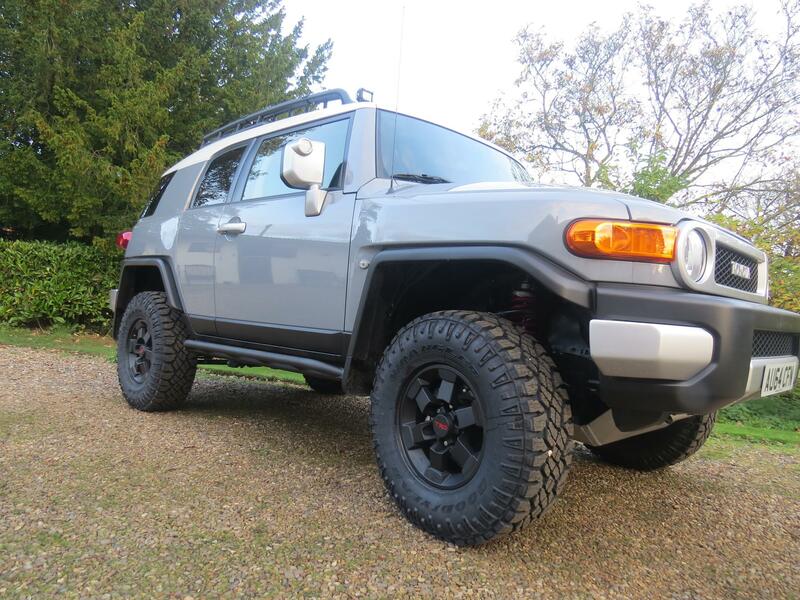 So here he is, just 5 days after I collected him, complete with Toytec Ultimate lift, Demello Hybrid Sliders (laughed loads as these were fitted by the dealer in the US and when I went underneath I found they'd stuck the Demello sticker to the frame by the mount points!) Richochet skids protect the underside and a Baja basket and ladder, and Tuffy console inside. 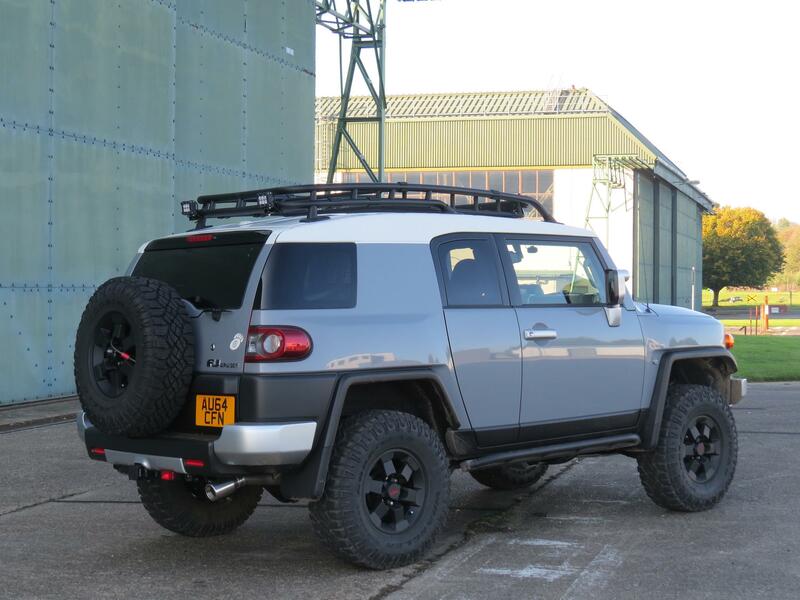 TRD wheels shod with 285/75 R16 Goodyear Duratrac. Lights and some accessory sockets yet to be wired. My thanks to all the vendors and forum members who gave me advice and help in selecting my mod's. Zed 71, Irish, iwashmycar and 7 others like this. lgrt, shack, bazross and 7 others like this. Pacific Coast Highway FJ, Seauba, Thorn661 and 1 others like this. Beautiful truck. Is that one light by the hitch a rear fog light? Just curious, since it looks like a left hand drive I assume you bought it from the US. Did you look into buying an Australian model to get right hand drive and if so was the shipping cost prohibitive? Looks good though, just seems like it would be annoying driving from the curb side. Thank you, quite a job to get one and get it to the UK but worth the wait.